WE ARE LIVING smack dab in the middle of the music festival age where multi-day events have overtaken standalone concerts. 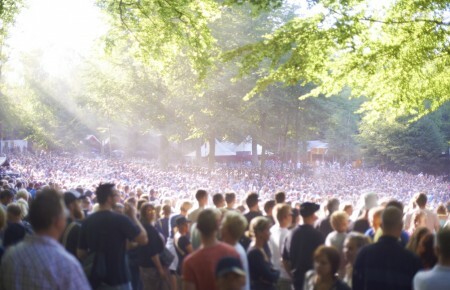 Over the past 10 years, droves of music lovers have lined campgrounds, deserts, Californian oases and city blocks to witness hundreds of artists performing several days worth of non-stop auditory delight. Discovering each one—let alone deciphering which one fits your style—is a mighty tall task. This, our music fest primer, features notes from the road to help navigate the stages popping up this summer. Is there a better way to welcome summer than by driving east until the pavement hits the shoreline, then listening to a weekend’s worth of great tunes in a picturesque setting? That’s the premise of the Montauk Music Festival. Now in its seventh year, Montauk is a four-day festival featuring about 100 up-and-coming artists set against the backdrop of one of the Eastern seaboard’s most idyllic beachscapes. Musicians from all over the country apply for a spot in the lineup (more than 3,000 this year). The chosen acts represent a wide range of musical styles, including rock, pop, country, folk, reggae, jazz and even metal and rap (flamenco, too!). 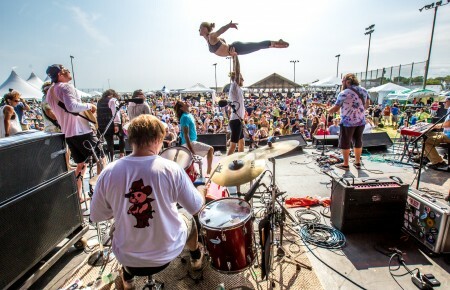 “We’re humbled by all of the great talented musicians that have applied to be a part of this year’s event, including many local Hampton and LI performers,” said festival producer Kenny Giustino. This year’s performers include Randy Jackson, Schoeffel, The Offshore Regulars, The Como Brothers and Ladies Drink Free. But the best part of the Montauk Festival may be its price: entry to any of the venues is free. 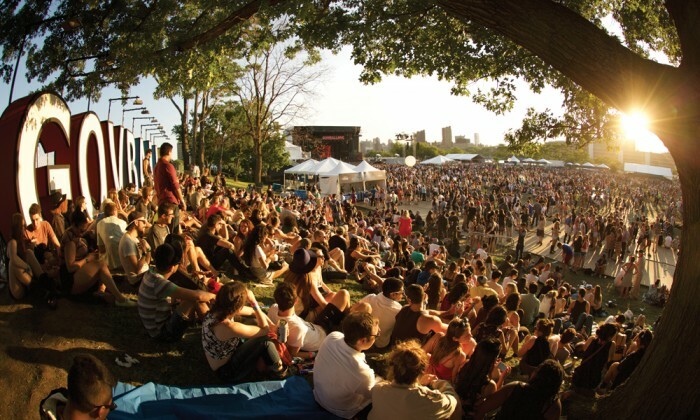 The mecca of music festivals in the Northeast is undoubtedly Governors Ball. What started as a one-day event on Governors Island in 2011 has morphed into one of music’s cornerstone festivals. Now occupying Randall’s Island, Gov Ball brings the biggest names in music to New York City, attracting more than 150,000 fans over three days. “It’s a huge, massive kind of small city for a weekend,” said co-founder Jordan Wolowitz. Wolowitz uses several criteria for deciding the lineup. “I try to see who hasn’t played a festival before, who hasn’t played the market in a while, who has new records coming out and who people have said they want to see.” This year will include rockers The Killers, sister-trio (and Taylor Swift’s former opening act) HAIM, blues guitar virtuoso Gary Clark Jr. and the too-good-to-be- true combo of Beck and Kanye West (performing on different nights). Attendees have access to both ferry and bus transportation to the island. Once there, they can bask in the musical ambience while viewing art installations, playing lawn games, relaxing in lounges and devouring a smorgasbord of food options. The view of New York’s skyline doesn’t hurt either. Now in it’s eighth year, the Northside Festival celebrates the cultural renaissance that’s been emerging in Brooklyn. The weeklong event showcases music, film, food and entrepreneurship. Hence, extensiveness. Over 400 artists will play in 25 different venues across the borough includ- ing Brooklyn Bowl and McCarren Park. Among those performing are Grammy-winning country music star Kasey Musgraves, singer-songwriter Conor Oberst and the sure-to-be, can’t-miss-event, Brian Wilson performing the Beach Boys’ seminal album Pet Sounds. This setting is certainly one of the event’s allures. It all goes down in Basilica Hudson, a non-profit, multidisciplinary arts center housed in an 1880s industrial factory on the waterfront, making it feel like a cultural oasis a world away from the hustle and bustle of Long Island.